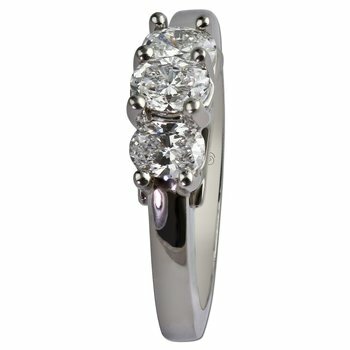 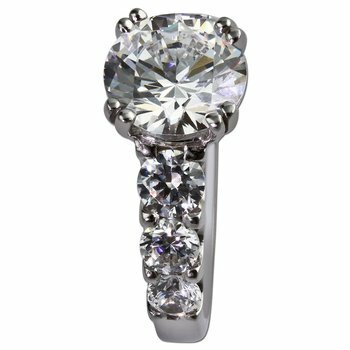 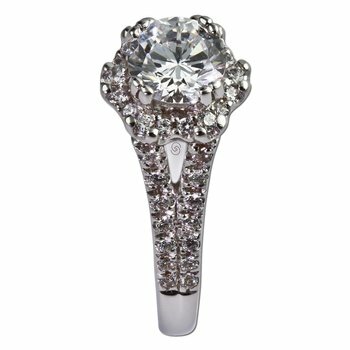 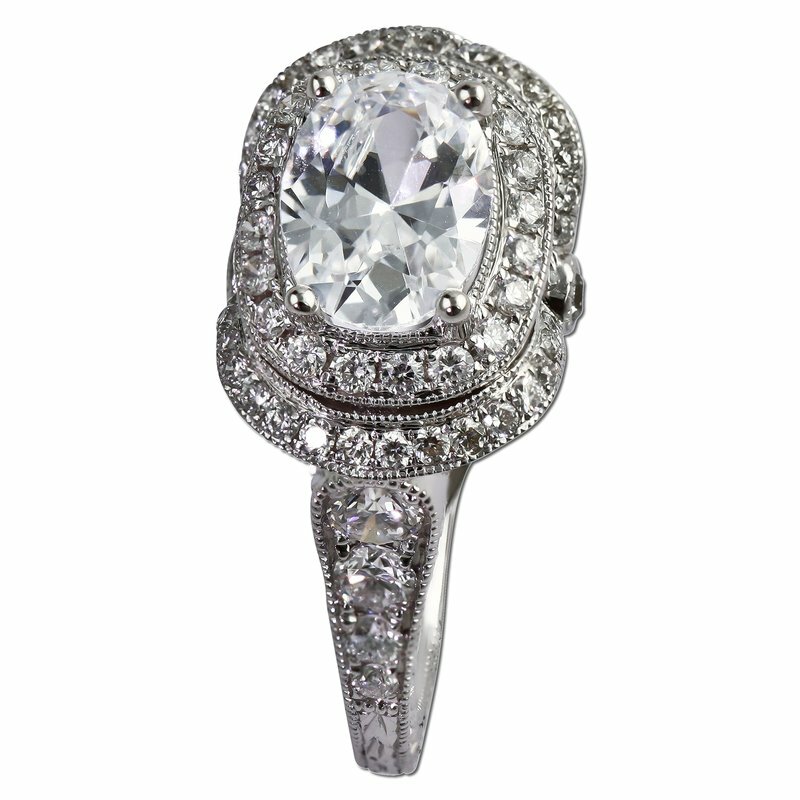 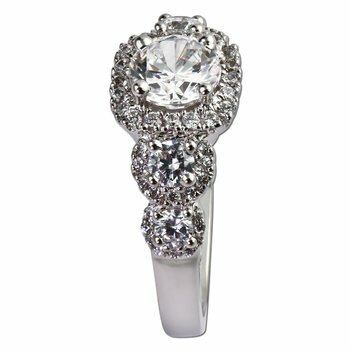 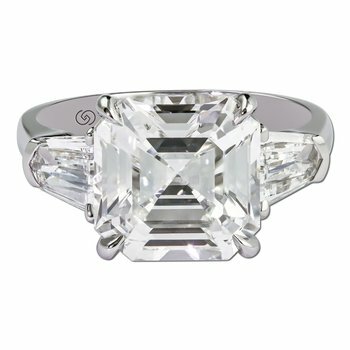 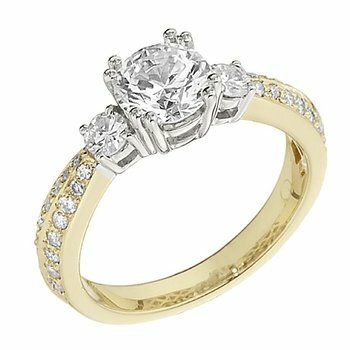 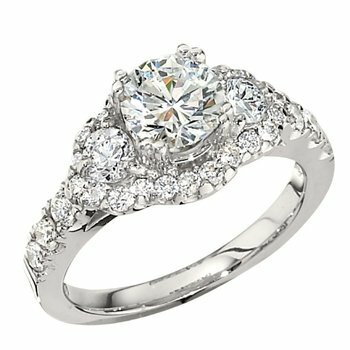 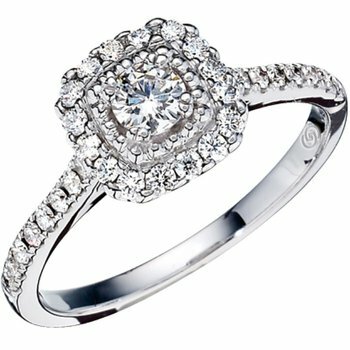 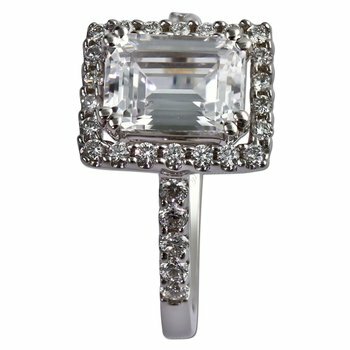 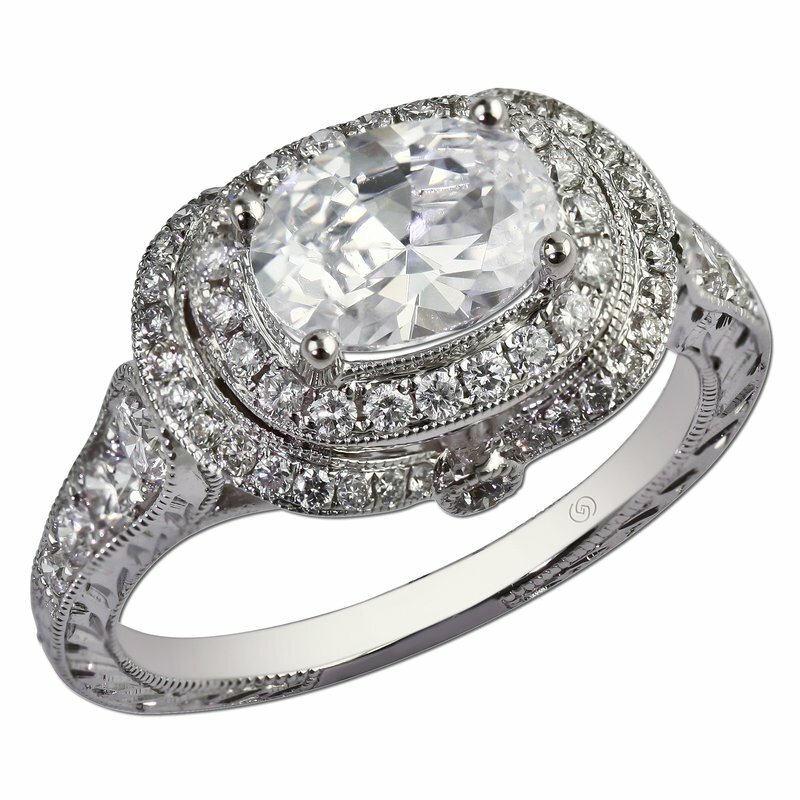 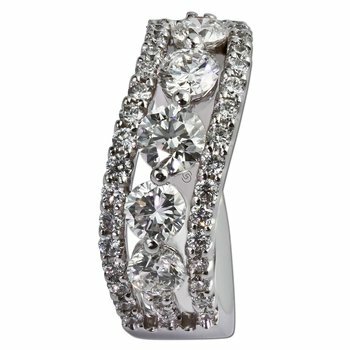 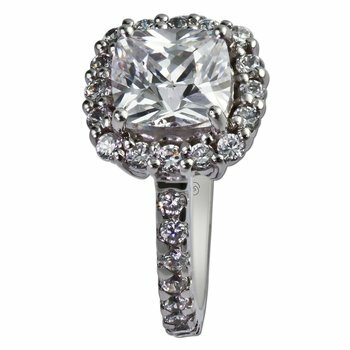 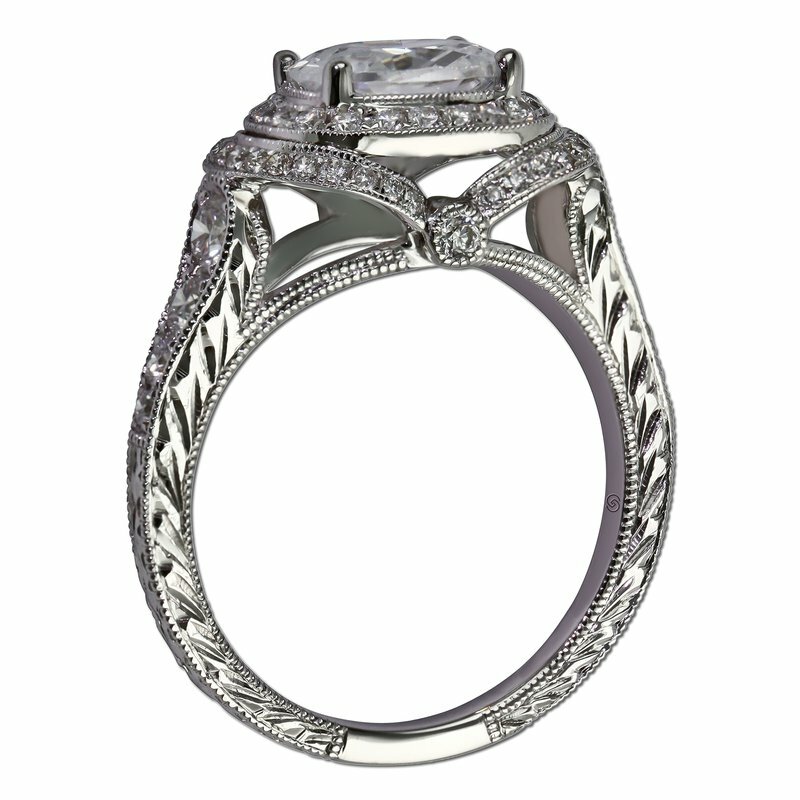 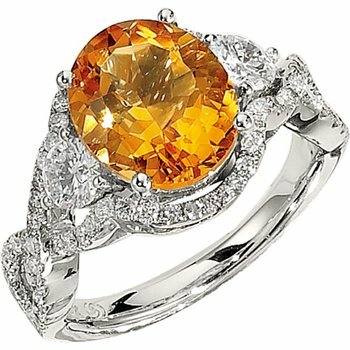 Radiant and regal, a touch of royal splendor appears in this vintage inspired semi-mount diamond ring. 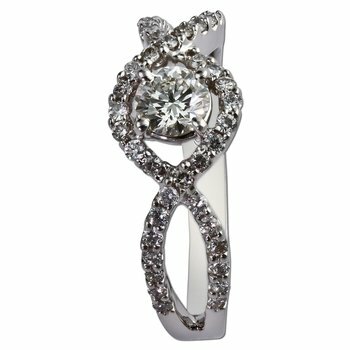 A duet halo of bead set round diamonds frame and highlight a center diamond or gemstone of your choice. 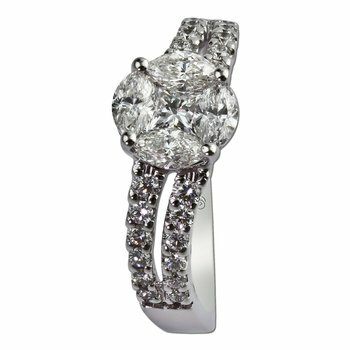 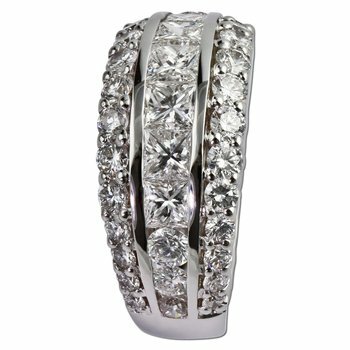 Details from all angles include: hand engraving, graduated side diamonds, milgrain trim, and a signature diamond on the side to complete the design.